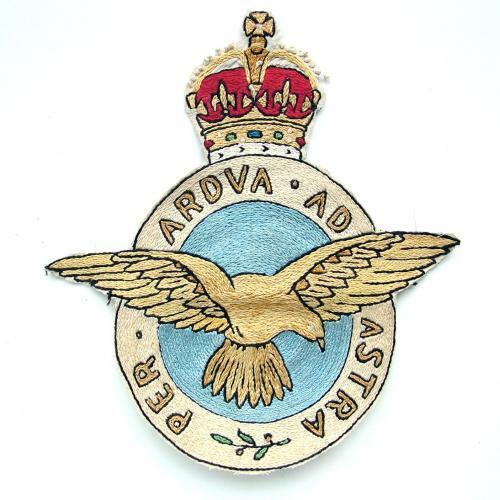 Hand embroidered full colour King's crown Royal Air Force badge. Almost certainly made from one of the commerically available patterns during WW2. Stock code U21932.